A Clugston Relation | Who Were They? Based on where this cabinet card was made, Ft Wayne, Indiana, I suspect this is a Clugston family member. The photo is not identified in the Mearns Family Album, but our fabulous Intense Guy discovered that the Clugstons moved out to Indiana some time between the 1850 and 1860 census. The head of the family, Asher Clugston, died in Indiana in 1865 at the age of 64. He was a farmer, who along with his wife Catherine Rittenhouse Clugston had seven children. While in Indiana, it appears that his oldest son, Asher R. Clugston, was quite successful with a general mercantile business in Columbia City, IN. I don’t know how they are related to Minnie Clugston who we looked at back on July 14th. It is often difficult to sort out the intertwined families of old. The photographer for this photograph was Barrows. The back of the card is blank, which suggests earlier in the cabinet card era, but her hair style and dress suggest later in the era. I had some difficulty find the photographer due to the name. See, there is a great Indiana Historical Society website, but it’s editor is a Barrow, so every single document he edited comes up as a match for the search! Anyway, I did find something that suggest Mr. Barrow was in business in the 1890s, so that is the date we will go with here. Fort Wayne is only 15 miles from Columbia City (which is where Mamie Clugston, the other photograph in this album was taken). The photographer appears to be Frank R. Barrows (b. August 1854 in Michigan). He appears as photographer in both the 1880 and 1900 US censuses. My name is Brian Clugston. I am curious about the clugstons in indiana. My grandmother past away before we could get all the info but a lot of never seen photos appeared. and a lot of post cards. My great grandmother and father used to go to elkdin indiana? My grandfathers name was chalmer. he had a brother lee roy or lee, but i cannot find a link accept these post cards talking about a hotel or something. Asher’s parents are listed as James Clugston, II (b. 6-9-1775) and Mary Bakman (b. 10-12-1775). James (II) parent’s are listed as James Clugston (1738-1791) and Jane Ireland. Asher Clugston was born in New Jersey 1801. Asher died September 26, 1865 in Indiana, at 64 years of age. He married Catharine Rittenhouse January 10, 1829. Catharine was born in Hunterdon Co, New Jersey May 25, 1811. Catharine was the daughter of Benjamin Rittenhouse and Elizabeth Roberson. In the 1850 census Red Lion Hundred, New Castle, Delaware page 254, Asher (age 48) is recorded with Catherine (age 38), David (age 18), Mary (age 14), Eysiah (age 13), Gertrude (age 12), Asher (age 10), Levina (age 7), Ruth (age 6), Rebecca Smith (age 13), and George Wilson (age 20). Asher is a farmer. He and Catherine and David were born in New Jersey and the others in Delaware. In the 1860 census Red Lion Hundred, New Castle, Delaware page 233, Asher (age 58) is recorded with Catherine (age 49), Isiah (age 23), Gertrude (age 21), Asher (age 20), Levina (age 18), Ruth (age 16), and Byard (age 4). Asher is a farmer born in NJ. i. David B Clugston was born in New Jersey 1832. He married Margaret Ann McLallen. Margaret was born New York 1838.
ii. Mary E Clugston was born Delaware 1835. Mary died 1857 at 22 years of age. She married Thomas McCra. Thomas was born about 1835.
iii. Azariah R Clugston was born Delaware 1837. Azariah died 1885 at 48 years of age. He married Sophia S Thompson about 1861. Sophia was born in Pennsylvania 1834.
iv. Gertrude J Clugston was born Delaware 1838. She married Thomas S Stradley Delaware, about 1861. Thomas was born Delaware 1837.
v. Asher R Clugston was born Delaware 1839. He married Mary A Matton. Mary was born in Massachusetts 1841. In the 1870 census Richland Twp, Whitley Co, Indiana page 413, Asher Clugston (age 30), is recorded with Mary (age 28) and Lucia (age 1m). Asher was born in Delaware and was a Dry Good Merchant. vi. Lavina C Clugston was born Delaware 1842. Lavina died 1880 at 38 years of age. 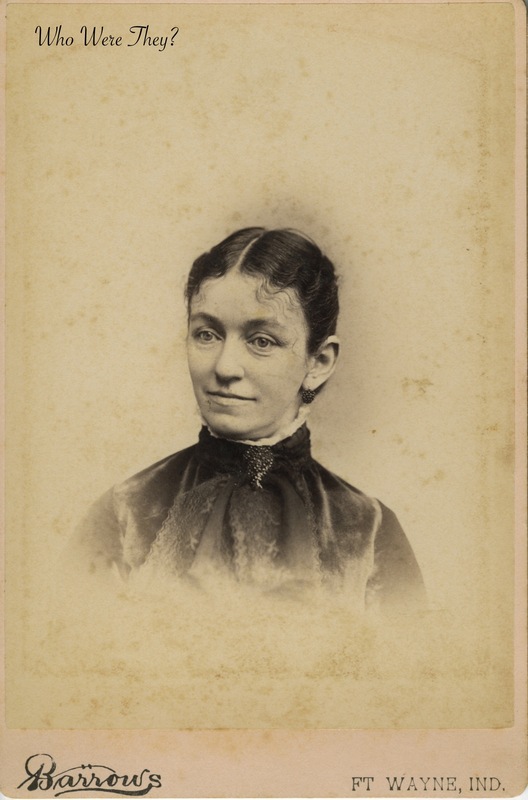 She married Henry McLallen about 1865. Henry was born New York 1841.
vii. Ruth Anna Clugston was born Delaware 1844. Ruth died 1872 at 28 years of age. She married James M Kerr about 1866. James was born in Medina Co, Ohio 1844.
viii. Byard Clugston was born in New Castle, DE 1855. Jefferson L. Clugston (b. Feb 1842) and Margaret “Maggie” A. Reeder had son, Chalmer Curtis Clugston (b 04 Jul 1877) married Blanche M. Spence (b 1880) on 19 Aug 1903 in Reedsville, Pennsylvania. I didn’t find any direct link to the Clugsons in Indiana to your ancestors – (it much be further back!) If you would like, perhaps we can determine what hotel your ancestors are speaking of?